China's consumer inflation held steady in October, data showed Friday, but factory-gate inflation continued to cool, which analysts said created room for policymakers to maneuver. The consumer price index (CPI), a main gauge of inflation, rose 2.5 percent year on year in October, unchanged from that in September and ending a rising streak for four consecutive months, according to data from the National Bureau of Statistics (NBS). The reading was the second highest level in the year, buoyed by a pick-up in non-food prices, the growth of which accelerated to 2.4 percent in October from 2.2 percent in September. That led to a CPI rise of 2.1 percent for the first 10 months of the year, well below the government's target ceiling of 3 percent for 2018. NBS official Sheng Guoqing attributed the stable CPI increase to softening food prices, which dipped 0.3 percent month on month in October. On a monthly basis, prices of fresh vegetables and eggs fell 3.5 percent and 4 percent respectively due to increasing supplies. Prices of pork and fresh fruits, however, picked up notably by 1 percent and 1.9 percent, respectively. The moderation of food prices, driven by falling vegetable prices, fully offset the rise in non-food prices, said Lu Ting, an economist with Nomura. The NBS data showed the CPI edged up 0.2 percent month on month last month. Lu expected a mild rise in China's annual CPI to 2.1 percent in 2018, up from 1.6 percent in 2017, saying contained inflation will not affect the government's policy easing agenda. The growth of producer price index (PPI), which measures costs for goods at the factory gate, trended down again in October to 3.3 percent from 3.6 percent in September. The growth rate has dropped for four consecutive months. The PPI rose 3.9 percent year on year in the first 10 months. On a month-on-month basis, it was up 0.4 percent in October. Sheng Guoqing said the carryover effect contributed 1.2 percentage points to the PPI growth, while new factors contributed 2.1 percentage points. Continued fall of the PPI growth was due to a high base last year and continued weakness in domestic demand, Lu Ting said, expecting the downward trend of PPI growth to continue but in a milder manner through winter. The inflation data came after a slew of indicators showed expansion of manufacturing activity slowed in October, but imports and exports posted stronger-than-expected growth. Premier Li Keqiang Thursday warned new downward pressure on the economy amid complicated domestic and foreign circumstances and called for more efforts to maintain stable performance and healthy development of the economy. The economy expanded 6.5 percent in the third quarter, down from 6.7 percent in the second quarter but in line with the government's annual target. To boost domestic demand, the country has unveiled a host of measures, including a one-percentage-point cut in reserves that commercial banks must set aside at the central bank, increased fiscal spending and stepped up financial support for private businesses and small and medium-sized enterprises. 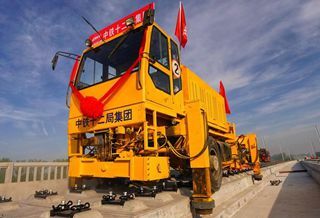 The country will continue to implement proactive fiscal policy and prudent monetary policy, according to a meeting of the Political Bureau of the Communist Party of China (CPC) Central Committee last month. In a research report issued Friday, Goldman Sachs expected the country's monetary policy to remain supportive for growth.